It is with great excitement that Isaiah has released his brand new single ‘Streets of Gold’ – available to purchase/stream now. ‘Streets Of Gold’ marks his first song writing credit alongside Milk & Honey’s Steve Solomon and Neil Ormandy (James Arthur, Rag & Bone Man). Isaiah’s debut single ‘It’s Gotta Be You’ surpassed 100 Million streams on Spotify this month and has been certified Platinum in Sweden as well as Gold in Australia, Norway, and Denmark. 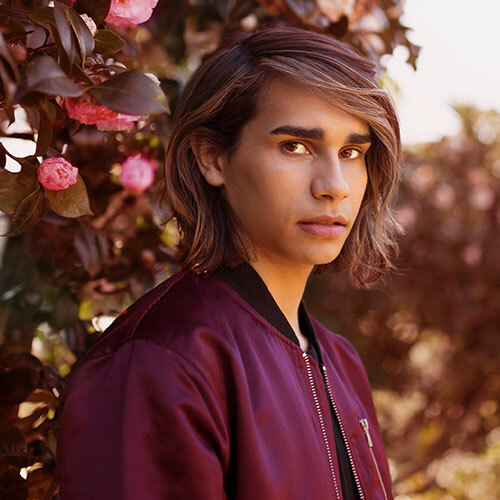 Earlier this year, Isaiah represented Australia in the 2017 Eurovision Song Contest with his song ‘Don’t Come Easy,’ placing 4th in the final jury vote & 9th overall, winning hearts and fans around the world. Isaiah is available now for corporate bookings through Parade Management.